Ramesses Riches is a 5-reeled video slot machine that will take players into a wild journey into the mysterious world of the ancient Egyptian kings who once ruled over Egypt. Players will not only get to enjoy a historical into Ancient Egypt at the land of the Nile, as they will also get to claim their share of the great golden treasures and fortunes that these ancient Egyptian kings were known for. In fact, up to this day, a lot of tombs are still being discovered that are still full of golden fortunes and treasures. Players will find twenty lines that they can place their wagers on. As mentioned, the game is themed around Pharaohs, this is why players will see plenty of Egyptian themed symbols and graphics, even the layout and the design of the game have the same theme. therefore, through this wonderful video slot machine, players will get to enjoy a truly immersive gaming experience that will have them coming back for more. The symbol of this video slot game includes an Egyptian woman, an Egyptian scroll, a black cat and an Egyptian eye symbol among others. The symbols also include card symbols such as J, Q, K and A. The game has a wild symbol, this symbols is the Pharaoh. 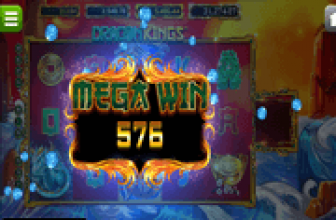 This wild symbol does what any wild symbol would do, which is replacing any other symbol of the video slot machine in order to aid players in achieving wining combos. Not only that as it also doubles the winnings. So players who make any winning combo and earn a payout with the help of the wild symbol, the payout is doubled. The scatter symbol of the game is the golden key of life (the Ankh). 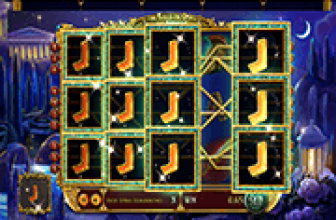 This scatter symbol will reward players with scattered payouts as for players who get three of the scatter symbols on the reels, they will be able to earn a number of free spins. During the free spin rounds, all winnings are multiplied by 3. 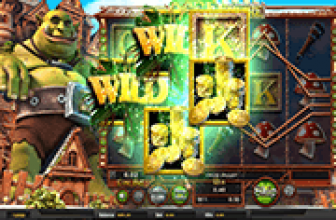 Free games wins with the wild symbol will be multiplied by 6. The wagering range of the game varies between 0.01 credits and 20 credits. Players will be able to place these wagers at the bottom wagering area of the game as they go through the different wagering variables that the game has that include the number of lines, coins as well as the value of the used coins. Try out the game here and you will certainly not regret it. Michael Moriarty has been a writer and editor for over two decades. Find his work from the New York Times to any number of sites about the iGaming and Video Game industries.